The U.S. Department of Defense today announced (via Bloomberg) a “commercial mobile device implementation plan” that would allow iOS and Android devices to be used on its secure classified and protected unclassified communication networks beginning in February 2014. The implementation plan establishes a framework to equip the department’s 600,000 mobile-device users with secure classified and protected unclassified mobile solutions that leverage commercial off-the-shelf products, promote the development and use of mobile applications to improve functionality, decrease costs, and enable increased personal productivity. The plan orchestrates a series of operational pilots from across the DoD components that will incorporate lessons learned, ensure interoperability, refine technical requirements, influence commercial standards, and create operational efficiencies for DoD mobile users. As Bloomberg notes, BlackBerry is currently the dominant device at the Pentagon with almost 450,000 devices being used by its employees. Over the past several years, BlackBerry has seen its enterprise dominance chipped away by Apple devices, as corporations and other government agencies have been trading in their BlackBerry devices for iOS and Android ones. This would mark the first time that commercial products like iPhones and iPads would be allowed on the department’s classified networks. The department also plans to create a military mobile applications store and hire a contractor that would build a network system capable of handling as many as 8 million devices. Teri Takai, the DoD’s chief information officer, said that the move is about “keeping the department’s workforce relevant” in a time where information accessibility and cybersecurity are crucial to “mission success.” The department currently uses older BlackBerry devices, but the company is set to launch its new BlackBerry Z10 phone, based on the company’s revamped operating system, next month. -Use popular Photoshop features, such as layers, selection tools, adjustments, and filters, to create mind-blowing images. -Improve your photos using classic Photoshop features to bring out the best in your photography. Apply precise tone and color adjustments to your entire composition, a particular layer, or a select area. 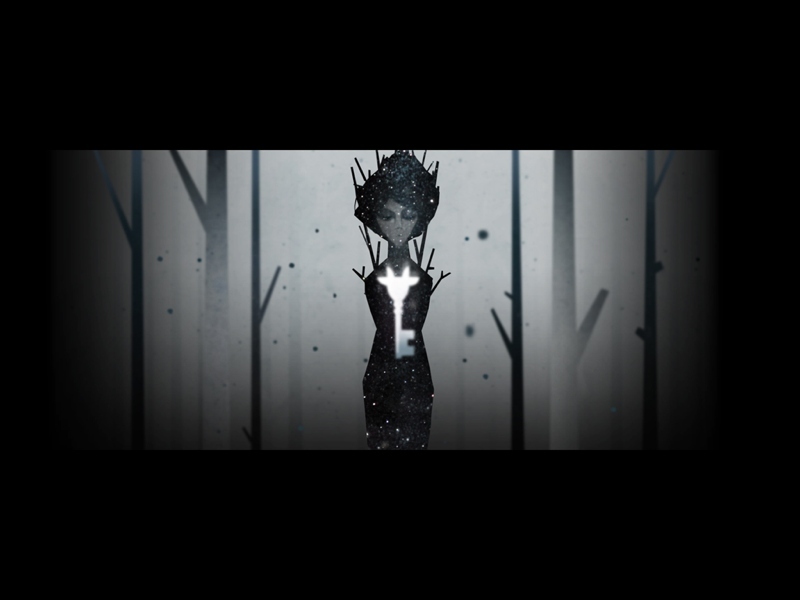 -Create something other-worldly using painting effects, filter brushes, and so much more. 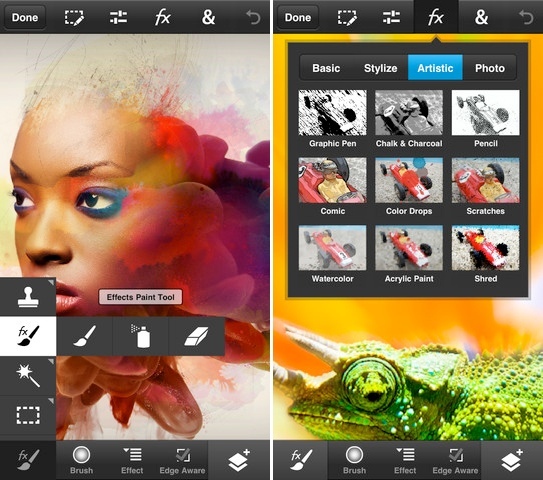 With Photoshop Touch, the creative possibilities are endless. -Make your images pop with graphical text. Apply strokes, add drop shadows and fades, and more. -Take advantage of your device’s camera to fill an area on a layer with the unique Camera Fill feature. -Quickly combine images together. Select part of an image to extract just by scribbling with the Scribble Selection tool. With the Refine Edge feature, use your fingertip to easily capture hard-to-select image elements, like hair. -Start a project on your iPhone or iPod Touch and finish it on your iPad* or back in Photoshop* at your desk using a free membership to Adobe Creative Cloud™. ** Your projects are automatically synced between your devices. -Free membership to Creative Cloud provides 2GB of cloud storage. -Work on high-resolution images while maintaining the highest image quality. Images up to 12 megapixels are supported. Yahoo, which caused a controversy when it issued a policy banning employees from working remotely, tried to distance itself from the broader conversation about workplace flexibility. If Marissa were a man who wanted to be a deeply involved father to his newborn and built a nursery next to his office, wouldn’t people — especially women — be swooning over his commitment to fatherhood? Critically acclaimed strategy game “XCOM: Enemy Unknown” is headed to the Mac in a few months, Feral Interactive announced today. The popular strategy game is coming in a special “Elite Edition”, which includes previously released add-on content. The Mac release of “XCOM: Enemy Unknown” is the “Elite Edition”, and contains all previously released add-on content and updates. “XCOM: Enemy Unknown – Elite Edition” includes the Slingshot and Elite Soldier Pack add-on content, as well as the Second Wave update, which includes a series of gameplay modifiers that add further depth and flexibility to the campaign. XCOM: Enemy Unknown, a re-imagining of 1994’s classic strategy game “X-COM: UFO Defense”, was developed by Firaxis and published by 2K Games for PC and consoles. 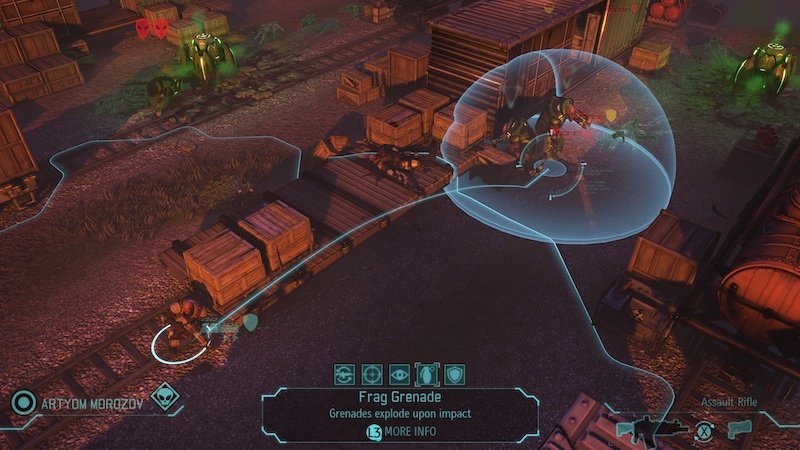 In the game, players lead secret government organization XCOM to defend the world against aliens. Players oversee base management in addition to combat strategies while maintaining relationships with countries to fund their organization and save the world. Although there are no pricing, system requirements or multiplayer details at the moment, Feral says that they will be revealed as the release date draws closer. VIDEO: Can pupils respect ‘teacher on wheels’? Rory Cellan-Jones checks out a new kind of robot that developers say will help teachers educate from a distance. Marissa Mayer may end up becoming a successful CEO; however, in the best interest of all the key constituent groups, wouldn’t it have been more prudent for the Yahoo! Board to have hired a CEO who had already navigated these turbulent waters? The Wall Street Journal reports on recent moves Apple has made to increase sales in India, one of the fastest growing markets in the world. Recently the company has launched the iTunes Store and the Apple TV there, and it was rumored that Apple Retail Stores were coming to the subcontinent as well. Apple is sidestepping wireless carriers to seize greater control over marketing in India and offering no-interest loans to lure lower-income consumers. The company has also boosted staff in India by 30% to 170 employees in the past six months. And it is ramping up the introduction of other products, with the Apple TV video-streaming gadget expected to reach stores in coming weeks, people familiar with the matter say. The result is that Apple shipped more than 252,000 iPhones to India in the quarter through December, more than triple the number in the previous three months, according to research firm Canalys. India has frequently been mentioned when talking about Apple’s possible development of a lower-cost iPhone, because most smartphone users in India use postpaid plans and pay for their phones up front, instead of the subsidization model that is used in the West. The Journal quotes a number of experts saying that Apple will have to come out with a more inexpensive phone to compete with other manufacturers — Samsung sells Android phones that start at $100, while the cheapest iPhones sell for $500 and a new iPhone 5 is close to $850. What How About That Instagram Exodus? “American Idol” is now encouraging viewers to tweet as a way to make live viewing more attractive. The Internet pioneer takes on one of the country’s biggest workplace issues in the hope of fostering more innovation. Do social media users now need a law course? The Obama administration has set an ambitious goal to map the 85 to 100 billion neurons in the human brain, but scientists say they are long way from developing the necessary tools. Apple has settled a lawsuit brought in 2011 after children ran up hundreds of dollars in spending on in-app purchases in freemium games. The company will give iTunes credits to parents who claim their minor bought in-app items without permission and the option of cash refunds for claims over $30. The FTC looked into parental concerns over in-app purchases, but apparently let the lawsuit run its course before acting. The agency has examined other issues with kids using mobile apps, particularly around privacy. Late last year, the agency expanded the Children’s Online Privacy Protection Act to cover mobile games and social media. Apple will send email notices to the 23 million iTunes account holders who are affected by the settlement. The full settlement document is available on Scribd. The company began requiring passwords for in-app purchases in iOS 4.3, soon after concerns over unauthorized purchases came to light. 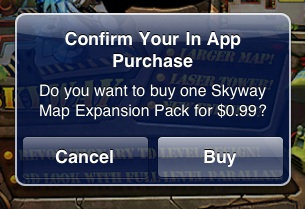 In-app purchases can now also be shut off entirely. 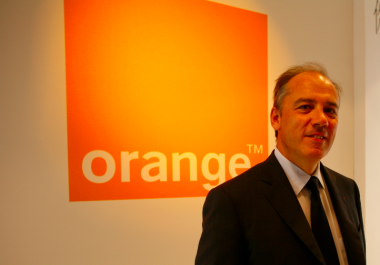 Speaking at an event with reporters, France Telecom-Orange CEO Stephane Richard said that Apple was “more flexible”, “paying more attention to everyone else” and “a little less arrogant” than they had been in the past, reports AllThingsD. Richard went on to talk about the some other issues affecting the telecom industry, including the “very difficult” time Windows Phone will have competing with entrenched operating systems like iOS and Android, particularly because the platform doesn’t yet have a “‘wow’ effect”. The VA got a lot done under really tough conditions in the last several years. That includes dealing with increasing IT workload regarding the GI Bill, more web-based access to benefits, and processing a lot more vets entering the system. Fellow Student Reporter Tim Lehmann and I sat down with The Huffington Post’s founder, Ms. Arianna Huffington, at the World Economic Forum in Davos, Switzerland. What can we learn from The Huffington Post in terms of scaling up our model? Anthony Bourdain sounds off… again. Youtube has many educational videos for patients on multiple disease states. However, a recent study looking at the cases of videos relating to anorexia, may lead to medical misinformation being spread. Leonard Riggio, founder of the Barnes & Noble bookstore chain, offers to buy back its retail operations, but not the Nook e-reader. The chip giant said its Clover Trail+ chip has double the performance and triple the graphics capabilities of its predecessor. And it reveals Asus to be a new customer for a couple of its mobile chips. Mophie today announced the iPhone 5 version of the Juice Pack Air, which offers more battery life than the recently announced Juice Pack Helium for the iPhone 5. The ideal case for the everyday 9–5er and for those whose day doesn’t always end when they leave the office. Lighter and thinner than previous generations, but packed with more power to make sure your phone can keep up with your busy lifestyle. While the Helium comes equipped with a 1500mAh battery, the Air offers a 1700mAh battery, which promises to double the iPhone 5’s battery life, adding an additional eight hours of LTE use. The Helium, in contrast, is only capable of charging an iPhone battery to 80 percent, offering six hours of LTE use. The Air and the Helium share a similar thin design, but the Air is slightly larger in all dimensions, including weight. The Air is 2.60 in x 5.54 in x 0.63 in and 2.68 oz, while the Helium is 2.49 in x 5.49 in x 0.59 in and 2.44 oz. The black version of the Juice Pack Air will ship in 7–10 days, while the red and white versions will ship on March 22. 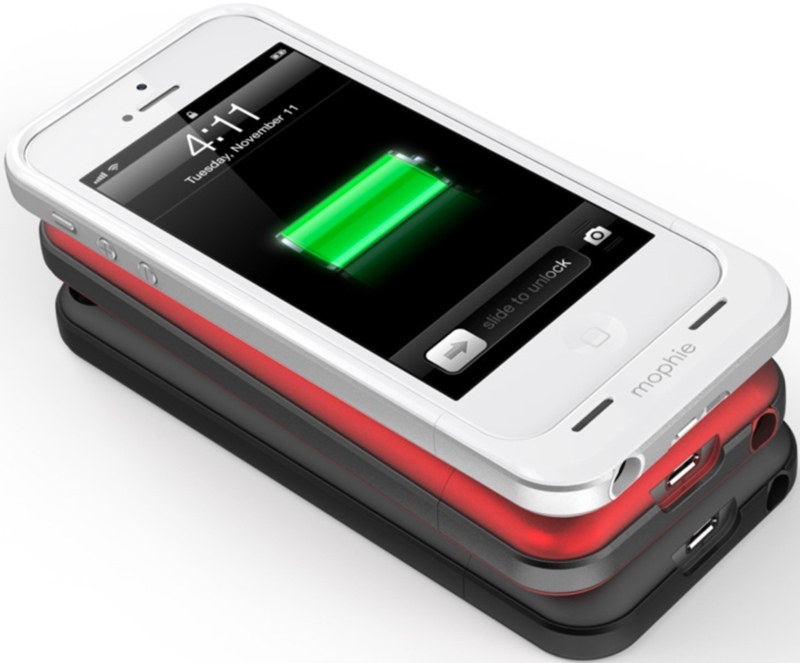 All three cases can currently be purchased through Mophie’s online store. for $99.95. The body that represents the mobile industry predicts operators will make more money from data than from voice by 2018. Chinese technology firm Huawei has launched a new mobile phone at the World Mobile Congress in Barcelona – a showcase event for the mobile phone and smart device industry. “Searching for Sugar Man” won an Academy Award for Best Documentary Feature tonight at the 85th annual Academy Awards, making it the first time a film that was partially shot with an iPhone has won the prestigious award. 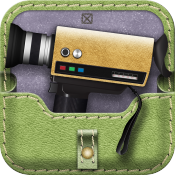 Director Malik Bendjelloul said that he had run out of money while making the movie and had to film his remaining shots with his iPhone and the 8mm Vintage Camera app. The iPhone and app’s performance were so impressive to Bendjelloul that he re-shot footage playing on his laptop screen with the app. This isn’t the first time directors have used iPhones to shoot films, but it’s an important milestone that shows that footage shot with phones and apps are good enough to be recognized at the highest level and not distract from the overall quality of the film. Social media platforms have evolved into major advertising vehicles for brands, and with attacks on the Twitter accounts of Burger King, Jeep and others, security is a growing concern. Apple ran a new iPad television advertisement tonight during the Academy Awards telecast. The spot follows the same theme as Apple’s two prior ads, ‘Alive’ and ‘Together’. They highlight some of the 300,000 apps made specifically for the iPad, using a variety of words to describe them. The ‘Hollywood’ ad for tonight uses ‘Lights’, ‘Camera’, and ‘Action’. Apps featured in the new ad include iMovie, the iTunes Store, Apple Maps, Action Movie FX, and more, as well as clips from Back to the Future, Apollo 13, and Indiana Jones and the Temple of Doom. Actor Romany Malco from Weeds, 40 Year-Old Virgin, and Think Like A Man talks black movies, making money on YouTube, Tijuana Jackson, and growing up in a bad part of town. The Obama administration is weighing how directly to confront China over hacking as it escalates demands that Beijing halt the state-sponsored attacks it insists it is not mounting. Have you ever found yourself asking, "Where did the last hour go?" when connecting with friends or colleagues in social networks? Social media is like a drug; just a little taste and we can’t help but want more. MobileMe was a buggy, unloved sync nightmare that left Apple users with missing data and failed backups. So, when Apple announced a transition to a new product, users where both hopeful and wary. The company’s underperforming Nook Media division might signal that its substantial investment in its digital future has essentially run its course. Microsoft’s Windows Blue operating system update rumored to be coming in the next couple of months. Anna Leahy: What Does Earth Sound Like? If we can hear the constituents of the universe, we must remember that we, too, are part of this universe. The Earth emanates natural and manmade radio waves. What do we sound like? Major banks have become behind-the-scenes allies of Internet-based payday lenders that offer loans with interest rates that can exceed 500 percent. After spending two and a half hours in a fitting room to find one bra that fit acceptably, Michelle Lam co-founded a company that aims to match women to bras online. Stephen Kaufer, the chief executive of TripAdvisor, developed his company after a frustrating search for hotel advice online. What others see as the future of the workplace, and what parents see as a most important tool for juggling home and work, Marissa Mayer apparently sees as disposable. The hapless, bumbling father is a stock character in product marketing. The so-called daddy bloggers who attended the recent Dad 2.0 Summit are pushing to change that. Dish’s Hopper product lets TV watchers skip the ads — so the networks have in turn been declining to run ads for the Hopper. But when Fox shows the Daytona 500 on Sunday, the Dish logo will race around that obstacle. The Space Shuttle’s three main engines and two solid rocket boosters spewed fire and smoke, and their deafening noise roared in my ears during seven launches into space. Google is in negotiations with music publishers to develop a Spotify-esque subscription streaming music service for its Android operating system, reports The Wall Street Journal. Currently, Google has a scan-and-match music service like iTunes Match, as well as an Android-focused music download store. Google Inc.’s Android unit has been negotiating with music companies to start a paid subscription music-streaming service akin to Spotify AB, according to people familiar with the matter. Separately, Google’s YouTube video website is trying to obtain licenses from music labels to start a paid subscription service for music videos and potentially also for audio-only songs, these people said. There have been rumors for nearly five years about Apple developing a subscription music service, though more recently reports have surfaced that Apple is aiming to release its service sometime in 2013. Bloomberg reported in October that Apple was aiming for a first quarter launch, but record labels have suggested that negotiations were hung up over licensing fees. Microsoft becomes the latest US technology firm – after Apple and Facebook – to confirm that it has been targeted by computer hackers. Over the last decade, organizations like GE, P&G, DARPA and LEGO have pioneered working with crowds to brainstorm. And in recent years, startups like Quirky, Localmotors and Giffgaff have put "crowdstorming" at the core of their strategies to bring better products and services to market. The back of the case depicts an extra hole, which is for the microphone. The current fourth-generation iPad’s microphone is located at the top of the device, but Apple has relocated the microphone to the back of the iPad 5, as noted in leaked photos of the rear shell of the device. Several different release dates for the fifth-generation iPad have been suggested, ranging from March to mid-year to October, with most rumors settling on a fall release. According to MiniSuit, Apple’s iPad 5 will be released in June. The Federal Trade Commission charged HTC with customizing software on its phones in ways that could steal personal information and surreptitiously send text messages. A U.S. judge handed outspoken hedge fund manager David Einhorn a victory in his battle with Apple Inc on Friday, blocking the iPhone maker from moving forward with a shareholder vote on a controversial proposal to limit the company’s ability to issue preferred stock. Shawn Amos: The Content Brief: What’s Up With All the Hacking? Apple has posted a new job listing for a ‘Maps Ground Truth Data Specialist’ in Australia. The job listing, which was posted two days ago, comes several months after Apple came under fire for incorrect mapping data in central Australia. Apple did eventually fix the issue in central Australia, but the company has been slow to fix many mapping issues even through the app’s official “Report a Problem” button. In 2007, who could have predicted the data tsunami of today? Not when Skype was in beta, Apple’s store for its then-new product iPhone wasn’t open for business yet, and Google hadn’t acquired the Android mobile platform. Mr. Westin was considered to have created, almost single-handedly, the modern field of privacy law. Sometimes it’s brushed aside for other social networks, but it’s important to keep in mind the power of LinkedIn. The social network for professionals now boasts 200 million registered users. A statement I make regularly to my students is that entrepreneurs are focused on satisfying needs. This is stated in connection with the basic requirement that a business needs customers. And, in that context it is essentially important. Mark MacLeod: How Committed are your Investors? Today’s software startup does not need $5M to get going. 1/10 of that is more the case. In response to this development we are seeing new breeds of investors from angels to super angels, micro VCs, etc. 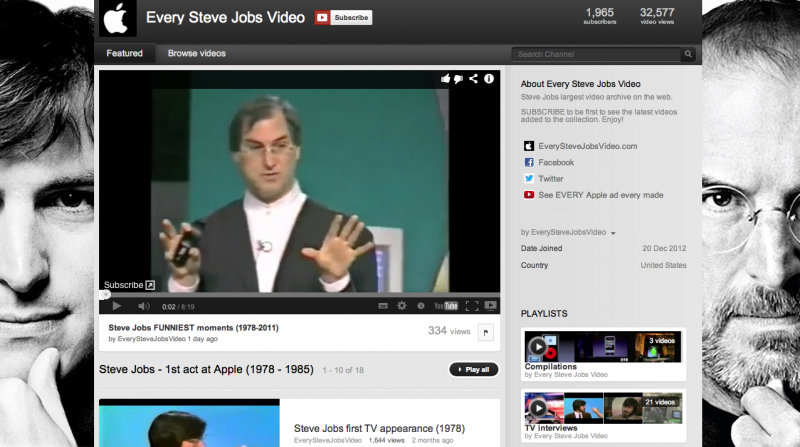 The Apple fan behind the Every Apple TV ad YouTube channel has created a new channel and blog with the self-explanatory title Every Steve Jobs video, offering a total of around 150 clips of varying lengths. Highlights include Steve’s first TV appearance, where he told the crew he was about to throw up from nervousness; the launch of the Macintosh, including the famous 1984 video and Jobs making fun of IBM; and the launch of the Think Different campaign. It also includes some amusing compilations including Steve Jobs’ Funniest Moments and Every ‘One More Thing’ Moment, all 31 of them. Images of space are ubiquitous in our lives. We have been surrounded by stunning portrayals of our own solar system and beyond for generations. But in popular culture, we have no sense of what space sounds like. And indeed, most people associate space with silence. Sheryl Sandberg, the chief operating officer of Facebook, is attempting nothing less than a Betty Friedan-like feat: a national discussion of a gender problem with no name. 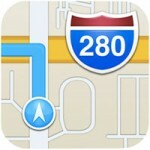 When Google released Google Maps for iOS in December, it also announced an SDK that iOS developers could use to implement Google Maps in their apps rather than Apple’s mapping solution. Tonight, Google announced an updated Maps SDK that adds ground overlay support and makes API keys available to all developers via the Google API Console. Previously, developers had to register and wait to be granted access to keys. Now that keys are freely available, it’s likely that more developers will use Google Maps in their apps. Some developers may decide to allow users to choose between Google and Apple’s maps, much like the recently released Sunrise calendar app. Google has also included a sample app in the SDK that developers can use to learn how to use Google Maps in their apps and released a video (above) demonstrating some of the SDK’s features. Americans who have spurned cable, but who have a television set hooked up to the Internet, will now be counted by the Nielsen Company. What if…you could design a city? How would experts begin to build a city from scratch? Paypal launches a chip-and-pin device to offer new payment methods for small businesses that have traditionally relied on cash trade. Though Hewlett-Packard is battling a declining demand for personal computers, the computer maker’s quarterly results were better than expected. Accomplishment doesn’t necessarily equal fame. Take the late John E. Karlin, who died at the end of January, who was the leader of a team behind the push-button telephone dial. Last year, Stanford student-founded she++ hosted the University’s first conference on women in tech. This year we’re back with those faces and more in she++: The Documentary. let’s say that buried deep within your list of private to-dos, there’s a little bullet point there that says, "Do better. Make a difference. Figure out a way to turn this crazy job of mine into something that helps people." In response to a question from an analyst during an earnings call, Hewlett-Packard chief reiterates the company’s “better together” strategy. Lowering crime rates using next century’s technology has been an effort put forth by both public and private entities. Here are three examples of commonplace place items that have become excellent detectives. Sony announces the fourth generation of its PlayStation games console featuring a new controller and a “supercharged” processor. What did the web make of Sony’s unusual PS4 reveal? Some of the world’s richest internet entrepreneurs, including Facebook boss Mark Zuckerberg, have awarded 11 disease researchers $3m (£1.9m) each. Tonight, Sony announced PlayStation 4, their next generation video game console, at an event in New York City, which was also live streamed on their website. The company announced that the new console would allow gamers to try out new games before purchasing them, share gameplay videos with friends and watch friends play their games in a spectator mode. Sony also revealed a redesigned Dual Shock controller with a touch pad on the front and showed off tech demos of the console’s capabilities and new games like “Killzone: Shadow Fall.” While Sony announced some of the hardware specs for the new PS4, they didn’t show the device and provided no details about pricing. Just after announcement, Sony sent out a press release (via Engadget) announcing a PlayStation App for iOS, which will serve as a second-screen experience app, much like Microsoft’s Xbox SmartGlass. A new application from SCE called “PlayStation®App” will enable iPhone, iPad, and Android based smartphones and tablets to become second screens. 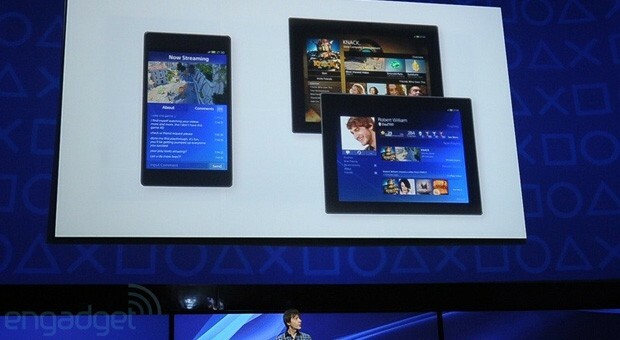 Once installed on these devices, users can, for example, see maps on their second screens when playing an adventure game, purchase PS4 games while away from home and download it directly to the console at home, or remotely watch other gamers playing on their devices. Previously, Sony had released an iOS app called PlayStation Official App that was only available in Europe and Australia and it allowed users to check on their gaming achievements, in the form of “trophies,” and check their friends’ online statuses. It’s not known when this new app will be available, whether it will cost anything or whether it will have any additional features, but more information is certain to be released as the PlayStation 4’s release date gets closer. Sony announced that the PlayStation 4 would be released in the Holiday 2013 timeframe, but did not reveal pricing for the console. Year Walk is the newest app release from Simogo, the developer behind hit titles like Bumpy Road and Beat Sneak Bandit. Year Walk is more than just a simple game. The beasts and events of the world are chronicled in the Year Walk Companion, which is a separate reference guide app that Simogo has designed to go along with the main app. Hackers have hit many American companies in the last few years, but few have admitted it. But now, some of them are going public. Sony held a gathering in New York City to introduce its new PlayStation, but it did not unveil the console nor did it say when it would go on sale. As Google and other companies begin to build wearable technology devices, an industry not known for its fashion sense faces a new challenge. BBC News catches up with Amit Drori, an Israeli puppeteer who designs and builds robots to use onstage. Netflix today updated its mobile app to version 3.0, adding several user interface improvements. Titles of TV shows and movies are now easily visible when the screen is tapped, and the playback buttons have been moved to a different position. Most notably, the previously removed zoom icon was re-added to the display, allowing for better access to full screen controls. Old version on the left, new version on the right. We enhanced the player UI for a better playback experience. The commission proposed to make a big part of the spectrum, some of which is in government hands, available for unlicensed devices like Wi-Fi routers. An Intel video claims its phone chip is now superior to ARM. We’ll have to see about that. Kevin Smith, Jason Mewes, Lisa Kudrow and Burnie Burns sit down for a discussion about the future of web television and how technology is changing the entertainment and media industries. Mary Olushoga: Are African Female Techpreneurs Lagging Behind? In the past five years, many institutions and hubs throughout Africa have been established to facilitate technological innovation and development, but many of these institutions and hubs should do more to increase the participation of women and girl techpreneurs. Apple says its systems were attacked by the same group that hit Twitter and Facebook. Like Facebook, Apple confirmed that its employees’ computers were infected with malware when they visited a Web site for mobile developers. Just a couple days after a clip of Jony Ive’s appearance on BBC’s Blue Peter was revealed, journalist Tom Davenport (via CNET) says he’s found an insightful portion of the clip that was cut out. In the new segment, Ive talks about how product naming philosophy can affect the design process. If we’re thinking of lunchbox, we’d be really careful about not having the word ‘box’ already give you bunch of ideas that could be quite narrow. You think of a box being a square, and like a cube. And so we’re quite careful with the words we use, because those can determine the path that you go down. As mentioned previously, Ive was a fan of Blue Peter while he was growing up and talks about a design he saw on the show that’s stuck with him over the years. This is just another look at Ive’s design process, which he’s started talking about more and more over the years as Apple’s profile has risen and as Ive and his team have received more accolades, which includes his knighting last May. 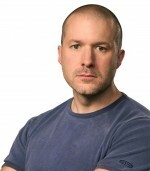 Last October, Ive was promoted to head of the Human Interface team and is playing the Steve Jobs role at the company. Former Apple employee Loren Brichter, who went on to create iOS game Letterpress, had said he was excited about Ive’s new role because of how he could possibly apply his design philosophy to iOS. According to a report from Digitimes, Apple supplier AU Optronics has managed to improve its poor iPad mini display yields, finally leading to increased availability of the current iPad mini and a solid infrastructure for the production of displays for the next generation mini. Due to AUO’s yield issues throughout the second half of 2012, cumulative shipments of the iPad mini were less than Apple’s originally estimated 10 million units. However, the sources said AUO has solidified higher yields as of the first quarter in 2013, which will help keep the iPad mini in supply as well as most likely push up AUO’s tablet panel shipments on year in 2013. The iPad mini has been in short supply since its release in October 2012, after some models sold out just minutes after pre-orders began. Reports cited display production as the limiting factor, which led to ship times of up to two weeks. Just today, we reported that Apple managed to reach supply-demand balance on the iPad mini. The tablet is now listed as “in stock” for immediate shipment from several online Apple Stores, which confirms the display yield improvements. 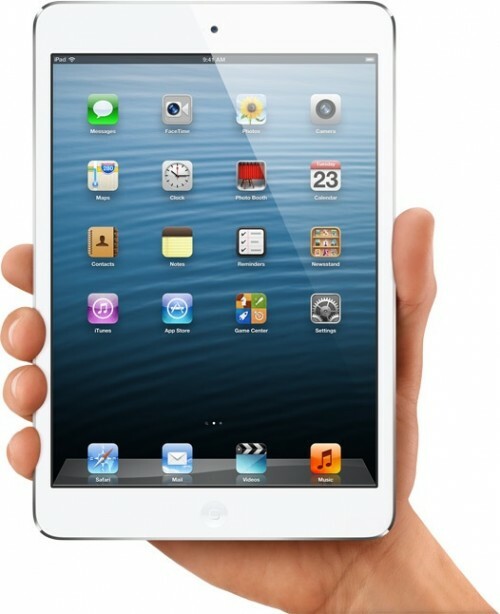 Digitimes is also reporting that AU Optronics has begun production of displays for the second generation iPad mini. Rumors have suggested that the next iPad mini will be equipped with a Retina display, and a report from November stated that AU Optronics was gearing up for production. Retina is widely believed to be the next logical step for the iPad mini, and while there are no concrete hints on when an updated mini will be released, KGI Securities Analyst Ming-Chi Kuo recently predicted that both the iPad mini and the full sized iPad will be updated in the third quarter of 2013. The HTC One ups the ante on the iPhone 5, packing more pixels closer together than Apple’s touted Retina technology. SliceBiz, a Ghana-based service which seeks to popularise crowdfunded investment in Africa, is among the latest Apps4Africa winners. As doctors and hospitals struggle to make new records systems work, the winners are big companies that lobbied for the health records legislation that allowed their sales to soar. Nickelodeon designed its first app as a noisy, colorful smorgasbord of animated clips, music videos and games. But there’s very little actual television. While filming Oscar-nominated documentary “Searching for Sugar Man”, director Malik Bendjelloul said, in an interview with CNN Money, that he ran out of money and had to finish filming his movie on his iPhone with the 8mm Vintage Camera app. I started shooting this on a Super 8 camera, like with film, which is pretty expensive stuff, and completely ran out of money. I really had a very few stuff, it was a very few shots left but I needed those shots. And one day I realized that there was this $1 app here on my iPhone and I tried it and it was basically the same as the real stuff. In the past there have been other directors, like Oldboy director Park Chan-wook, who’ve used iPhones to shoot films. There’s even an iPhone Film Festival dedicated to movies shot on the devices, but Bendjelloul’s film has since been nominated for an Academy Award. The 85th annual Academy Awards will air on February 24th, 2013. VIDEO: Are patent laws a wind-up? The European Union hopes to boost invention as it creates a single patent system for the whole region. What does the PlayStation 4 have in store for Sackboy and Sony’s other characters? Apple has said its computers were attacked by the same hackers that targeted Facebook. As reported by The New York Times, the software development website responsible for seeding malicious software to Mac computers at Apple, Facebook, and presumably Twitter has been revealed by a person who was involved with the investigation at Facebook. The compromised site, iPhoneDevSDK, is an online forum designed for software developers. The site is still infected, and visiting it is not recommended. At this time, it is unknown if the site had any involvement in the attacks, though it is likely that it was the work of third party hackers given the site’s prominent standing as a dedicated community for iPhone developers. Apple this morning announced that a small number of its employees’ computers had been compromised through the Java plug-in vulnerability, an issue that has now been fixed with the Java update and malware removal tool released by Apple this afternoon. As noted by The Next Web, iPhoneDevSDK is currently in maintenance mode. 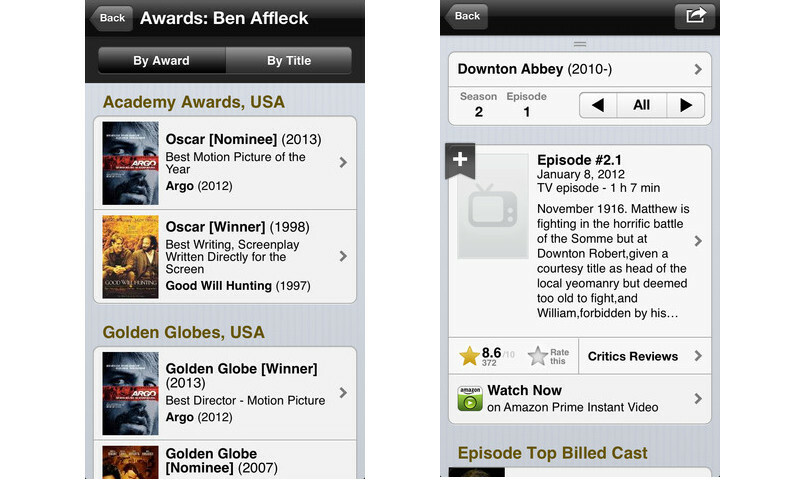 With the Oscars just under a week away, Amazon-owned IMDb has updated its iOS app with an Oscar section that will, during the broadcast, feature photos from the red carpet and a live text feed of the winners in addition to a complete list of the Oscar nominees. In addition, movies and TV shows that are available on Amazon Prime now have links on their IMDb pages in the app that will kick you into the Amazon Instant Video app to watch them, but a $79 annual subscription to Amazon Prime is required to view the actual content. The update also includes a few other minor enhancements. A growing body of digital evidence leaves little doubt that an overwhelming percentage of the attacks on American companies and government agencies start in a 12-story office building on the edge of Shanghai. Most notably, this update includes a built-in PDF viewer, making former PDF viewing plug-ins obsolete. The viewer was built using HTML5 and will provide a quicker, more secure way to read PDFs in the browser. 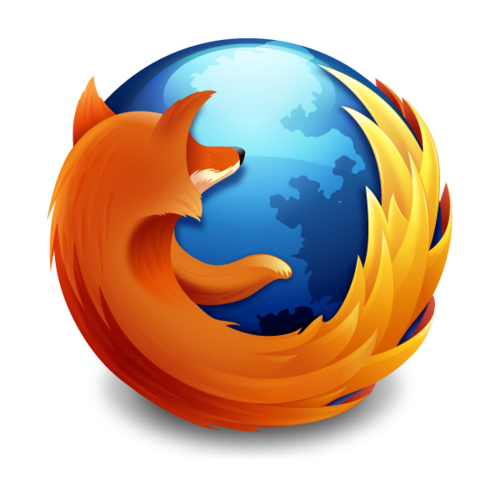 The official launch of Firefox 19 will take place tomorrow, on February 19. The updated version of the browser will be available for download from the Mozilla website. Could we all soon own a drone? VIDEO: Is Aaron Swartz an internet ‘martyr’? Chances are that this fictionalized (and comedic) take of what it’s like to be competing at Google won’t demonstrate any new revelations about how business is conducted there. It doesn’t matter, though. As noted by 9to5Mac, the Mac Pro is no longer available for purchase from Apple’s European Online Stores. In late January, Apple informed its European distributors that sales of the Mac Pro would cease as of March 1st due to new regulatory requirements that go into effect on that date. At the time, Apple told resellers that it would accept orders up until February 18, a deadline that appears to apply to general consumers as well. The Mac Pro is no longer able to be sold in Europe because it is not compliant with Amendment 1 of regulation IEC 60950–1. According to information from Apple, the issue has to do with the Mac Pro’s unprotected fan blades. Compliance with the new regulation would require fan guards and increased protection of the ports on the electrical system. Apple’s Mac Pro is now unavailable in European Union countries, EU candidate countries, and the European Free Trade Association countries of Iceland, Liechtenstein, Norway, and Switzerland. Though the Mac Pro has been discontinued in Europe, resellers are still able to sell remaining product after the March 1st deadline. Apple plans to continue to support existing Mac Pro machines and will supply replacement parts. Apple has also announced plans to offer a redesigned Mac Pro in 2013, following a minor update in 2012. Dell’s high-resolution XPS 13 now gets Linux Ubuntu. Jonathan Rettinger: Should You Buy a BlackBerry 10? I’ve spent the last two weeks playing with the Z10 and there are some definite pros and cons. Here’s what you need to consider before shelling out $199 to buy one. iPharmacy Drug Guide offers drug, medication, pill identification, and pharmacy information for both healthcare professionals and consumers. US fast-food chain Burger King says its Twitter account may have been hacked after its profile picture was changed to a McDonalds logo and offensive messages were posted. Software giant’s chairman says the company’s history in the cell phone sector was “clearly a mistake” during an interview on CBS This Morning. The Norwegian browser maker cut 91 jobs, some through a voluntary severance program, as part of its embrace of the open-source WebKit browser engine also used in Apple Safari and Google Chrome. According to a new report from Flurry, China is now the world’s largest smart device market, passing the United States just after the Chinese New Year. The country has the most active Android and iOS smartphones and tablets. 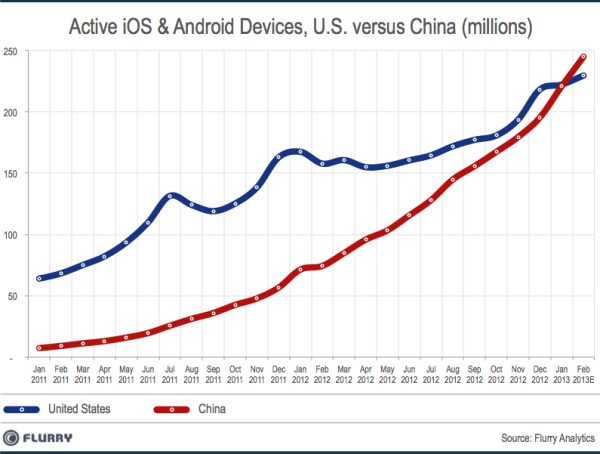 China began catching up to the U.S. late last year and as of January 2013, the two countries had approximately the same smart device user base, with 222 million in the United States and 221 million in China. 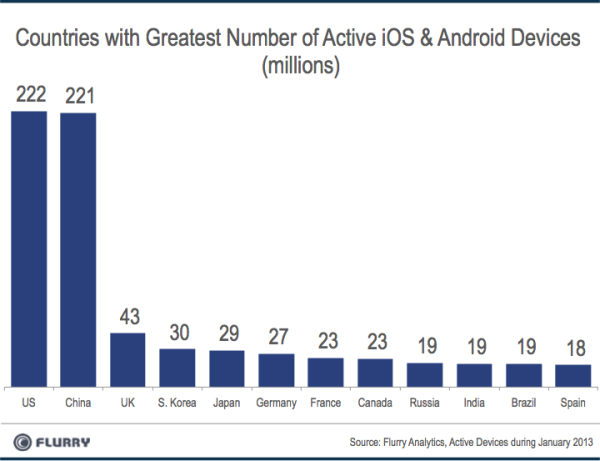 Based on the number of devices per country in the first half of February and growth trends, Flurry predicts that by the end of February 2013, China will outpace the U.S. by a wider margin with 246 million devices compared to 230 million in the United States. China is expected to retain that lead due to population numbers. The U.S. and China have a huge number of active smart devices compared to other countries, with almost five times more devices than the U.K, which represents the third largest smart device market. As of January 2013, the U.K. had 43 million smart devices. South Korea and Japan are the fourth and fifth largest markets, with 30 and 29 million respectively. China in particular has experienced rapid growth, adding 150 million devices during the course of 2012, compared to 55 million new devices in the U.S.
During Apple’s quarterly results call this January, the company reported a 67 percent increase in revenue in China, amounting to $6.8 billion during the first fiscal quarter of 2013. China has become an increasingly important market for Apple, as its second largest region. CEO Tim Cook spent part of January in the country, where he emphasized Apple’s plans to expand in the country. Apple tonight posted two new television spots for the iPad and the iPad mini on its YouTube page. The two ads, titled ‘Alive‘ and ‘Together‘, highlight some of the 300,000 apps made specifically for the iPad, using a variety of words to describe them. Apps shown in the ads include AmpliTube, GarageBand, TED, iMovie, iBooks, Toca Hair Salon, Vimeo, and FaceTime. With some states poised to clear the way for legal gambling on the Internet, Silicon Valley’s traditional gaming companies are expanding to meet the expected deluge of players. Using low-cost components developed for mobile devices, a start-up called Oculus VR hopes to put a high-quality virtual reality headset within reach of video gamers. Kate Gale: Can Gamers Save the World? A relationship with a person involves presence. If you don’t believe me, try raising kids by Skype or phone or email. Obviously, it wouldn’t work. If you want to have a relationship with your kids or as an adult kid with your parents, you have to commit to presence. How will our future cities look? What will cities look like in the future? Just a few hours before the State of the Union address, President Obama signed an executive order authorizing new policies to protect U.S. critical infrastructure cybersecurity. The call for additional legislation in this area acknowledges the need for continued vigilance. A new social game intended to raise awareness about issues like female genital mutilation and child prostitution will be introduced on Facebook in March. Printing in 3-D shows more promise than other technologies that President Obama has pushed, but the question is whether the United States can get a foothold in manufacturing one 3-D printer at a time. French publishers agreed to accept the establishment of a €60 million fund by Google to help them develop digital units. Their counterparts elsewhere in Europe are still pushing for copyright payments. You are currently browsing the DigitalWorkshed blog archives for February, 2013.